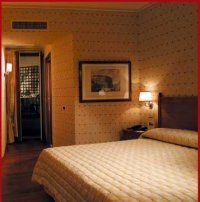 A beautiful small hotel with a great location near Piazza del Popolo. 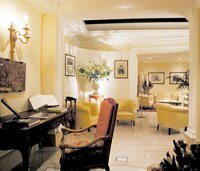 This hotel has a quiet and elegant lobby and small bar for relaxing from the busy streets of Rome. 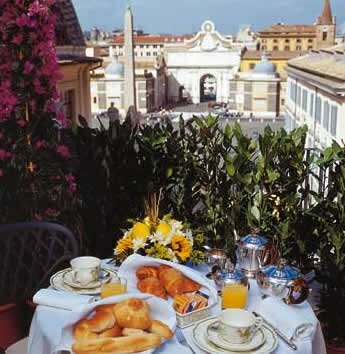 Wonderful spot for a base to explore St. Peter’s Basilica & the Vatican museums, the Spanish Steps, Trevi Fountain and Villa Borghese to name a few. Contact Ginger to book this hotel. A typical suite with comfortable sitting room and adjacent bedroom. Standard room with King size bed.